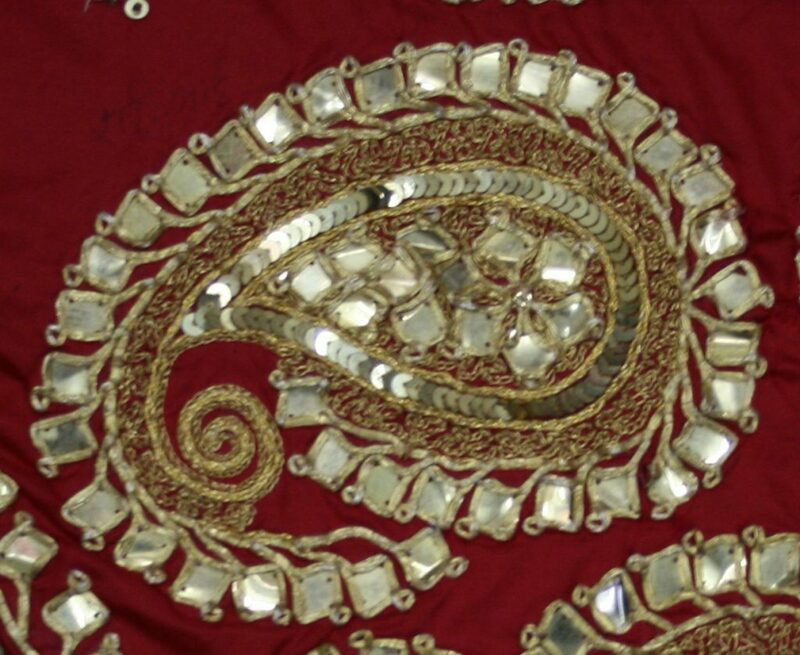 In the kaarkhanas or workshops in Udaipurin the Mewar region of Rajasthan a unique and unusual form of glittering ornamentation called Danke-ka-Kaam is embroidered on to textiles. Danka are small gold and silver square metal faceted discs, not larger than 1.5 centimeters that have been hand-beaten to form a facet that glints and reflects light akin to a diamond. Stencils are used to transfer the motifs including paisleys, flora, peacocks, betel leaves, vines, geometrics and scrolls as metallic zari yarns are worked in the zardozi technique around the faceted danka couched on to sumptuous and brightly colouredsilks, satins and velvet with the help of several needles, from sewing needles to the hooked needle locally known as ari. 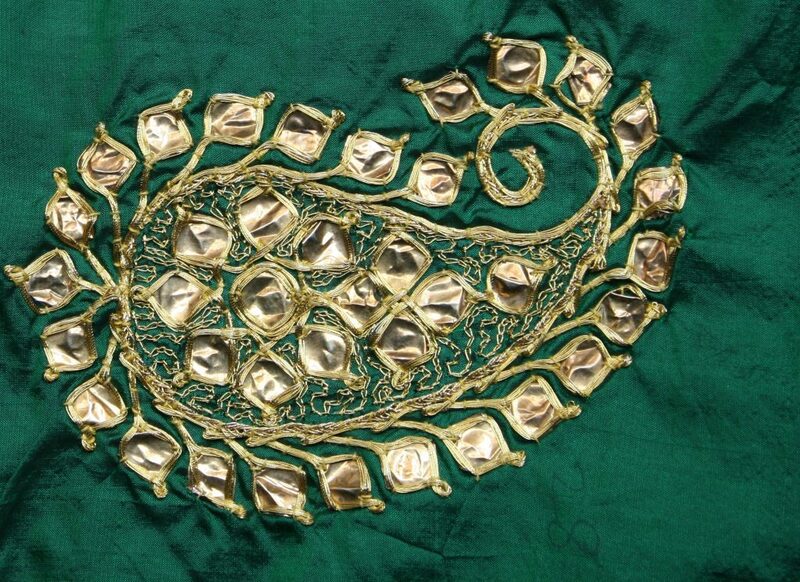 The danka lies at the heart of the opulent embroidered ceremonial poshaksworn by Mewari Rajput women at weddings and festive rituals. This traditional garment comprises of a kanchali (blouse) ghagara (full length) gathered skirt and odhna (head) mantle. 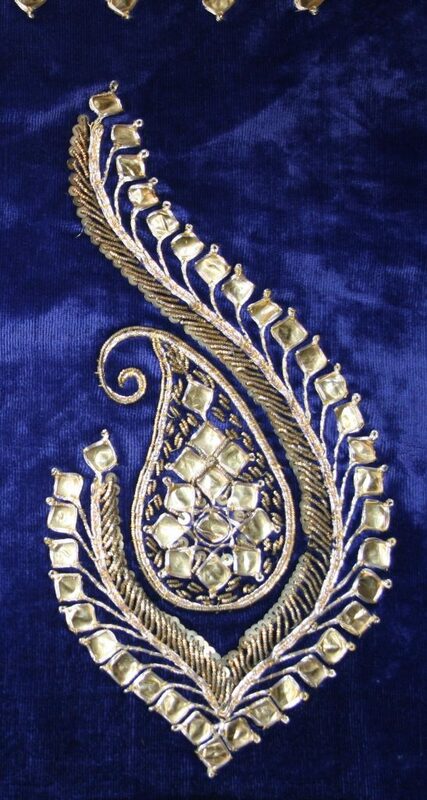 In the last few decades danka has also been embroidered onto saris and other garments. Danke-ka-Kaam remains relatively unknown outside its own geography. 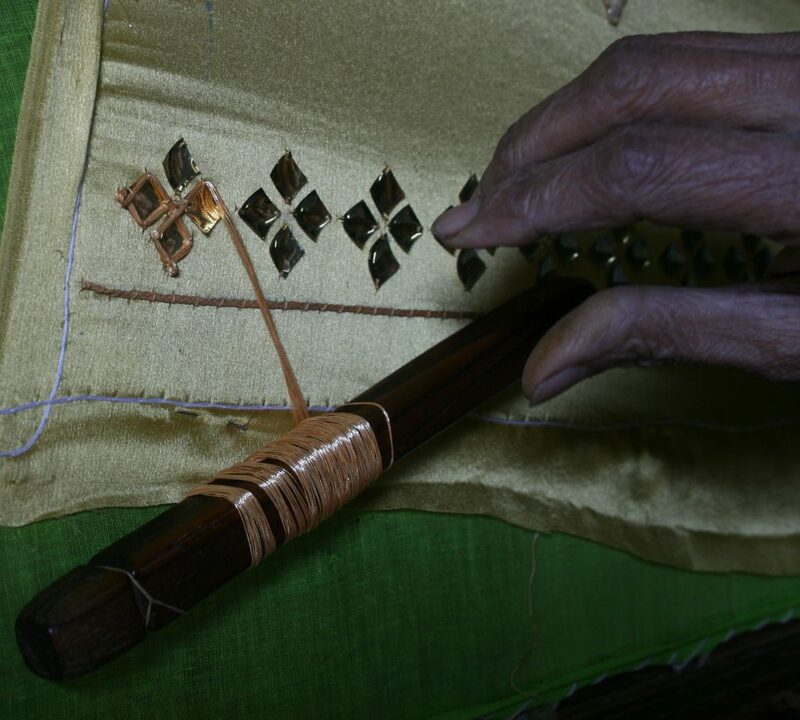 The Danka kaarkhanas are mainly located in the colloquially named Boharwadi or colony of the Bohras where the making of the danka pieces and its embroidery are practiced by the small Bohra Muslim community who migrated to this area in the 16th century and continue their traditional practice today. 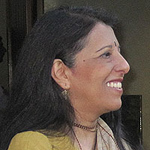 SaifuddinZariwala is the senior most of the practitioners. Now in his 70’s he is the seventh generation of his family practicing the craft. 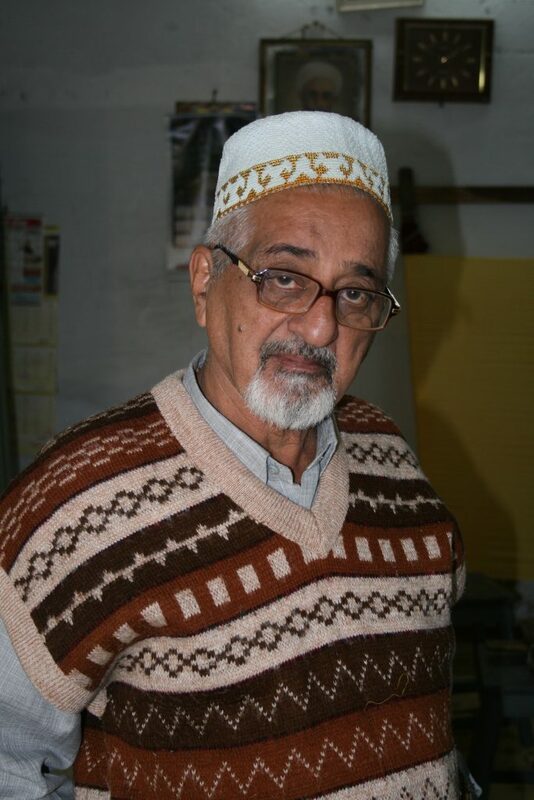 Whereas, Kaizer Ali Motiwala who learnt the craft from his father lives and works in the BadaBaazar area and is a fifth generation practitioner of the craft. 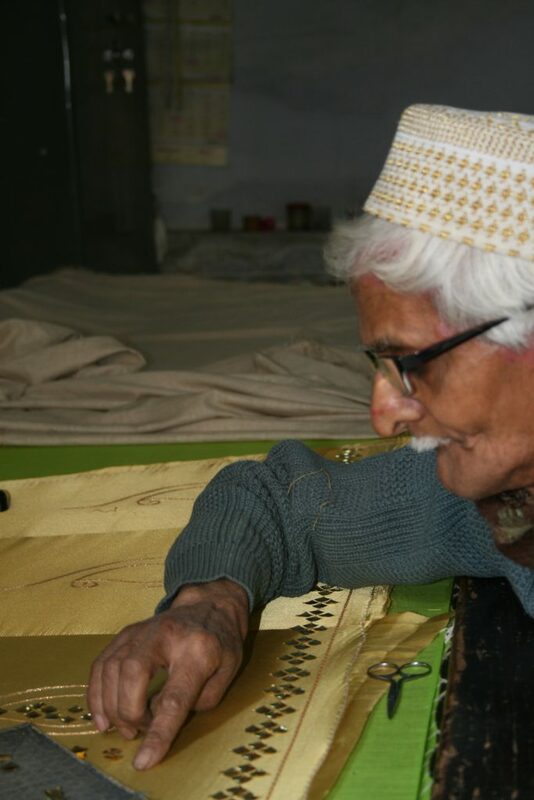 While a little over 25karigarsengaged in danka embroidery, the sole custodian of the skill today lies withBabuBhaiQutubudinZariwala who has passed on the family tradition to his daughter SidhikaBanu. It is in their karkhaana where the danka is meticulously crafted. 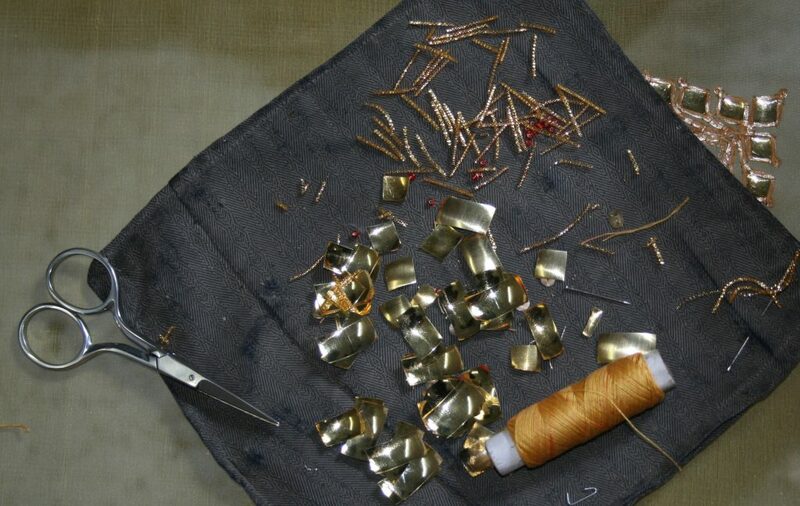 The women of the Bohra community help with the winding of the kasab, the metallic yarn used in the embroidery. 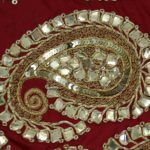 Additionally, the women are also engaged in the make of fine lace with silver and gold kasab, however, the same remains largely uncommercialized and is done for personal use. This craft is said to be known and practiced by all the Bohra women in Rajasthan and is considered as essential a skill as knowing how to cook. 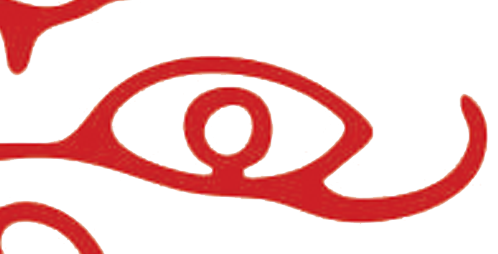 Included in the list of languishing crafts, the skill and the making process remains undocumented and thus solely relies on oral traditions. Danke-ka-Kaamlies waiting to be discovered to be given a new lease of life.